For the past 3 months I’ve been contemplating the energies of giving and receiving. Not just because these are the energies of the sacral chakra (one of the most traumatized and blocked chakras for most people in our earth journey) but because really, if you pay attention, their essence is identical. Giving and receiving are really just different sides of the same coin — you can’t have one without the other. If we don’t allow ourselves to receive, we have nothing to give, and if we don’t give, we don’t have room to receive. It moves. The painful part of either side is when we stop the flow. The Universe has been challenging me to receive more. Receive self-love, self-care, wisdom, guidance, and understanding of the opposites in my life (particularly the opposites that have brought the most pain). Loosing my mother was one of them — probably the most painful trauma of my life. And it wasn’t just her death — it was all the trauma surrounding her death: watching cancer eat her alive, being left in the dark about what was *really* going on (I was only 12), having to move in with my dad (whom I didn’t really know), and worst of all, being molested by a family friend while this was all happening. I’ve spent over 8 years in therapy just trying to process that trauma — which felt like one dramatic kick from the Universe all at once — and all aimed at my lower chakras (my ability to survive in this world). Recently, my aunt died. She was my mom’s sister and the last of my mom’s entire family. She’s also basically filled the role of my mom since she my mother died, and while she never tried to replace her, she was there. She existed. I thought I was prepared for her death. She was sick and we knew it was coming for awhile — but when it happened it felt like a finality I was not expecting. My Uncle (her brother) died a week before her, and that was it. All my mom’s family gone. It was not just an end to my aunt’s life, but it felt like an ending to everything about my mother. All the houses we lived in when she was alive are torn down. Even the place she worked for 15 years is gone. It feels like the memory of her has been wiped off the face of the earth, and my aunt’s death was the final nail in the coffin. And I was heart broken. When my mom died I wasn’t allowed to grieve. I didn’t know how, and neither did anyone around me. All my siblings were in too much shock — too much grief. And my father’s way of coping was to act like nothing happened. He took me and my sister to a movie on the day of her death (Aladin), and while I know his heart was to get our minds off things, it felt to me like he was saying, “It’s just an ordinary day. We have to move on and keep living — there is no time for your feelings.” Something in me died that day. I couldn’t do it. Something within me rose up like a red hot flame — all the anger I have ever felt in my life — all the injustice of a world that doesn’t seem to leave any room for grief — every thing inside of me refused to let it happen again — refused to not allow the grief to matter. Everything in me was screaming inside: “NO! I GET TO GRIEVE! HOW I FEEL MATTERS…I REFUSE TO ABANDON MYSELF AGAIN!” And I didn’t go. I couldn’t go. I was in too much of an emotional trigger and the last thing I wanted to do was go to a baby shower with 30 people I didn’t know and pretend to be happy. Inevitably people’s feelings got hurt. But I was past the point of no return. I was in too much of my own trigger/pain to care. I still don’t have the ability to put any energy toward that — though I logically care about people’s feelings, I have NO emotional validation to give. And to be honest, I’m proud of myself. I feel that if I would have swallowed my feelings and went, I would have re-triggered one of the most painful experiences in my life — I would have abandoned my emotions and given-in to the external world, agreeing with the message that how I feel doesn’t matter. Something has shifted in me since I made that decision. Not only did I show up for myself and give myself what I needed, I have fiercely protected and defended it — I have refused on EVERY level to feel guilty about my decision. I simply won’t do it. Guilt, after all, is the emotion that blocks the sacral chakra — affecting our ability to give and receive. I knew that if I allowed guilt to be apart of my experience, I would not be able to receive the healing needed. And somewhere in that red hot flame of self-protection, I’ve learned how much the Universe loves me. I decided to take my own advice and ask myself every day — every 5 minutes, really, how I feel and what I need. And the answer has been space. So I’ve given it to myself. I’ve spent nearly 3 weeks in almost total isolation (minus the occasional talk with a friend or family member). Thank God for the ability to receive. Thank God for self-care and self love. These past 3 weeks have restored me to a new level of inner-peace and strength — and it has given me the time and focus to heal a deeply buried wound. So this must be what the tipping point feels like. I am here, where I feel like I can come out of my cocoon and give back — move all the energy I have received. I have drank deeply from the nourishment of God’s peace and comfort. And I’ve done so without guilt. That’s the best part of receiving — when we can do so FREELY. It’s amazing, really, the way this hologram gives us continuous opportunities to heal old wounds by having similar circumstances occur again and again until we are finally able to receive the healing. But we can only receive healing by giving ourselves permission to do so — permission to matter. I feel a new peace. My mother feels closer than ever — because I’ve finally allowed myself to receive her. I received her presence these past three weeks, and I’ve said goodbye to my aunt, more thankful than ever for what she was to me while she was here. Thanks for loving and supporting me right where I am. Thanks for not putting me on pedestal and making me have to be anything I am not. And thank you for being honestly where YOU are. We all are where we are, and that is perfection. This New Year, commit to giving yourself the gift of self-love. Receive ALL the Universe has for you in THIS moment, so you have something truly of substance to give back. Let 2015 be a year of truly giving and receiving all the gifts of Source. 3 Tips for Being in the NOW! So many of us are disconnected from the present moment. We regret the past and worry about the future. We spend way too much time in feared and imagined possibilities and potentials that we cease to see what is manifested right before us. I wrote about this a couple weeks back for LOTUS EFFECT and I thought I’d share it today for all of my readers on CHAKRA CENTER. The power of now is unlimited potential. In this moment you get to choose. What perspective do you want to have about your life? Where do you want to direct your focus? What you choose to do with your now will shape and direct your entire future. Now is the only thing that truly exist. Dragging the past into the present drains the now of its power. Past pain, disappointments, fears, patterns, all of them are simply our journey of growth and expansion. They only have the power to affect the now if we allow them to. Our past doesn’t belong now. The now is for the NEW. What if you left the past in the past and allowed your now to be a clean slate? Doing this does not require you to bypass your emotions, ignore trauma or wounds, or even deny the way the past has lent itself to your current situation. Being in the now simply gives you the freedom to have a new perspective. What meaning are you giving the past? Is that meaning true? The now invites you to release your judgments and comparisons about the past and realize the gift of the moment. Every moment is new. The now is where you hold all your power and that power is perspective. You can ALWAYS choose how you will see the world – what meaning you will give to each passing moment. Acknowlege and validate all past wounds and traumas. Often those who bring their past in the future have never actually validated their pain, but hold on like hell to their story and conclusion about it. This is what a “victim mentality” truly is. If we can’t validate and accept our wounds, we will always be a victim to them. Question your beliefs about wounds. If a child is sexually abused, they may form a belief about themselves because of the trauma. Maybe they believe they deserved it or they are not worthy of love. Perhaps they conclude they are dirty or defiled. Although the pain that caused these beliefs is very real, the beliefs themselves don’t have to be. Is what you believe about yourself true? Can you gain another perspective? You must be brave enough to question everything about your current belief system if you want to utilize the full power of the “now.” Beliefs and judgments only serve as limitations. 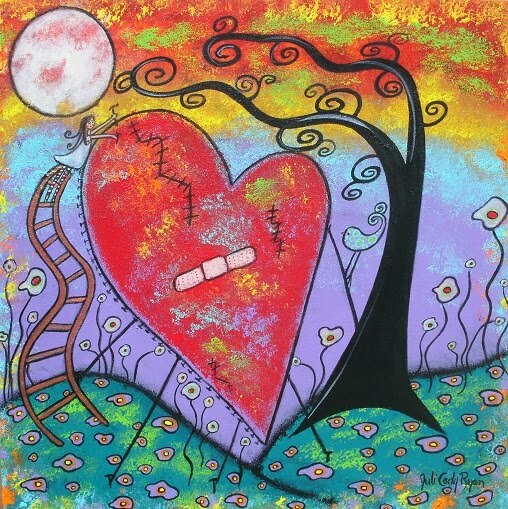 The beliefs around our wounds are what cause the true damage. Get a new perspective. Now it’s time to tell a new story. Yes we’ve been wounded. Yes it matters. Yes we need time to heal. But we get to choose how we will define our pain. We can choose to allow it to make us stronger. What will your new perspective on life be? How do you want to see the world? The past can hurt us, yes, but it does not have to rob us of our present. It does not need to define our now. Allow your NOW to be a new definition of your power. Let the power of your now shift your perspective and expand your beliefs about what is possible. Utilize its abundant potential. Now is all there is. Use it wisely. The key to healing is to realize you are well. You are not broken. You are infinitely powerfully, and you have everything you could ever possibly need to do anything to come into alignment with who and what you truly are. Many religions and even cultural “norms” start with the basic premise that humanity is broken. While living out of alignment with Source (or believing the Ego is the true Self) can certainly make us feel we are separate, broken, and need to be “fixed,” true health and wholeness come from knowing that the Source of All Life exists within you at all times, and is always available to you. You are never alone. You are never separate. The version of you that is full of radiant health and emotional peace already exists – it exists within the part of you that is always connected to Life – the Source of All Things. 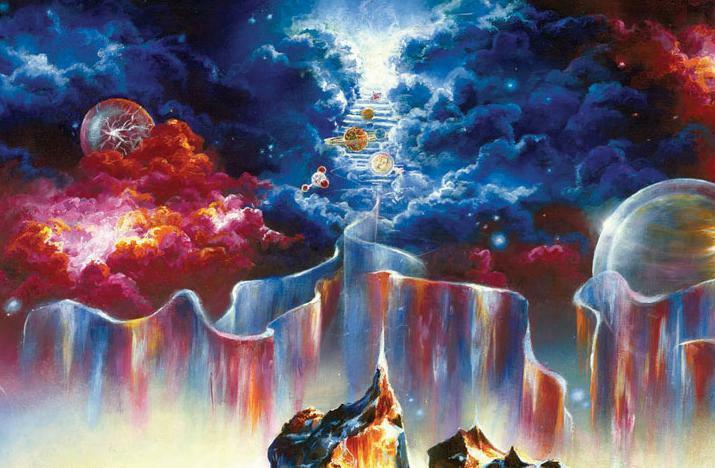 It is impossible for you to be separate from that Source unless you ceased to exist (in this dimension and all others). The feeling of being alone and all the dis-ease that goes along with it ultimately comes from the illusion of being cut-off from Source, and living within that illusion. The second week we address one of the biggest misconceptions of the “Love and Light” movement: spiritual bypassing. True healing and alignment does not come from ignoring or running from the emotions that we have deemed “bad” or “negative.” It’s about validating, feeling, and transmuting ALL emotions. Facing the shadow self is key to being free from the fear of its looming presence. It helps us to understand there are no “bad” or “good” emotions; from a higher perspective, they are one in the same: both the blissful and the “ouchy” feelings are our teachers and serve to assist us in our expansion. Bypassing negative or uncomfortable emotions only prolongs the lessons we are to learn from them. Consciousness is Life Itself and where there is life, there is freedom. 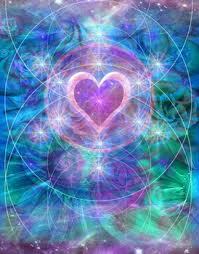 True life and true freedom is found within your heart – within alignment with your Higher Self. If you allow yourself to breathe deeply and look within, you will find a kingdom there, waiting for your active participation. Power of Love (both for Self and Others). Love is the MOST powerful energy in all existence. 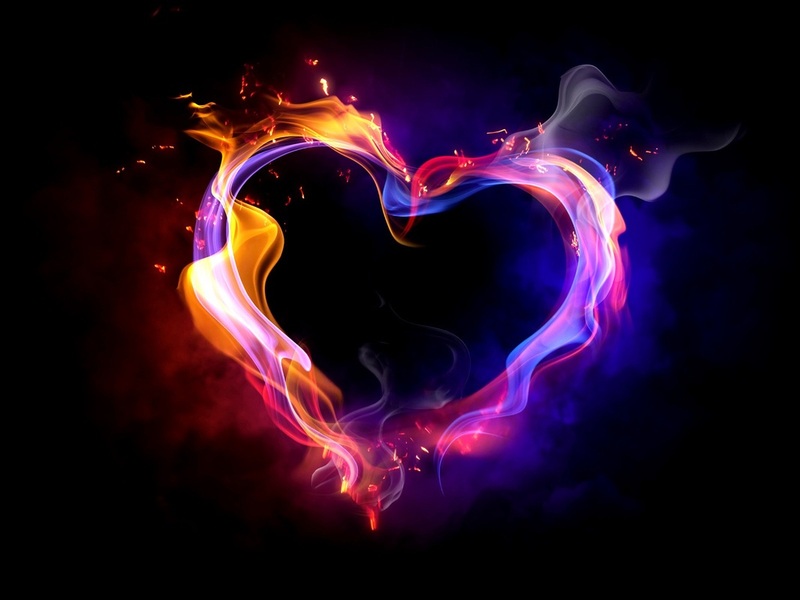 We will be learning about the very real and measureable energy of love (both within quantum physics and from our personal experiences), what it is, and how it can transform us. You will receive daily feedback/interaction with Amanda on our online private Facebook forum as you embark on your unique, restorative journey of accessing the realms of Healing Love. Disclaimer: Writing to Heal is not a substitute for medical care or an alternative healing modality. It exists simply to help you access and understand your energetic and emotional bodies and the subtle energies therein. It is no secret that the relationships we have with our children teach us more than any other relationships we have. When it comes to evolving as a person, nothing provides a steeper learning curve than parenting does. Much of this is due to the attachment we feel for our children. The love a parent holds for their child is it’s own unique kind of love; you cannot know or learn from that kind of love unless you become a parent. Yet just because we love our child more than anything on earth does not necessarily mean that we love parenting. And disliking parenting does not mean we do not love our child. 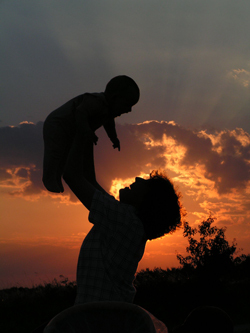 Universally, the parent-child relationship was designed to be a relationship of contrast. It is a relationship that is meant to show us what we do not want and thus inspire us towards what we do want. As an infant (even with the best of parents) we still have to deal with the experience of being dependent on someone else. We have to experience being physically out of control of our own well-being. That is not an enjoyable thing to experience for any being. 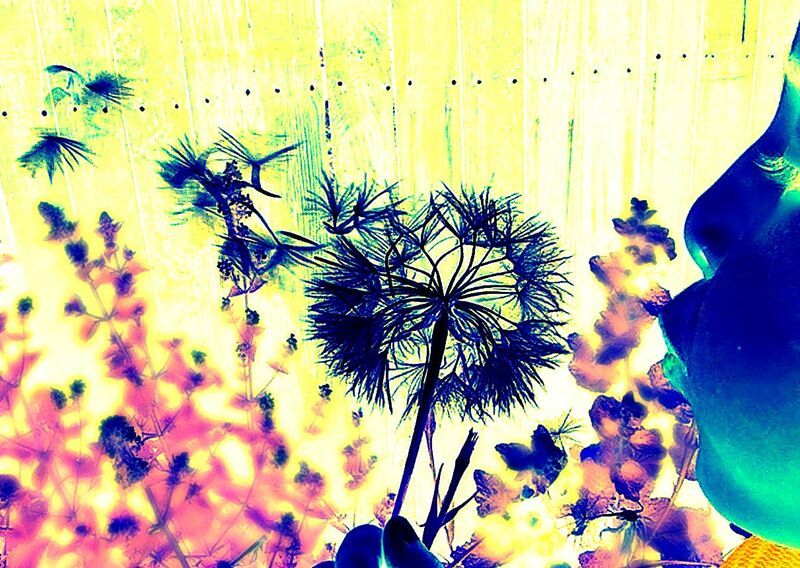 It is contrast, contrast that inspires us to desire autonomy. Staying focused on (and lining-up with) autonomy is what causes our physical structure to age and begin performing autonomous actions like walking and using utensils to feed ourselves. As parents, we experience a great many things that are not enjoyable to experience. Things like changing diapers, cleaning up throw-up, trying to train them to get along in a society we don’t even like most of the time, being responsible for another person’s physical well being, not being able to go somewhere on a whim at eight o-clock at night because we can’t leave our children at home, and listening to a sesame street song so many times in a row that it is now keeping us awake at night (the list goes on and on). There is a reason that parents have often felt like once they have children their life is over. It is because when we opt into the role of parenthood, we are opting into all of the lessons that go along with it. We are choosing the fast track. Every time we experience those unenjoyable parts of parenthood, it causes us to give rise to the idea of what we would prefer, both for ourselves and for our children. For example, when we feel resentment because we have to take care of our children instead of do what we really want to do (like go dancing), we desire our child to be autonomous. Which is a desire that they, themselves share. And our desire for them to achieve autonomy is creating their autonomy. In essence, we co-create the experience of our children physically aging so as to become autonomous. Childhood isn’t suppose to be purely enjoyable; neither is parenting. If it were purely enjoyable, there would be no expansion born from the experience. There would be no forward movement. You wouldn’t be inspired towards anything. You wouldn’t desire anything new and as a result. You wouldn’t create or become anything new. As parents, we have been cultured to believe the role of parenting is sacrosanct. We are cultured to believe that if we admit we do not like parenting, we are somehow betraying and abandoning our children. This is not the case. In fact (though there are always exceptions) most people who are parents, don’t actually like parenting. What they love is the connection they have with their children. What they love is those magic moments when their child falls asleep on their chest or takes their first step or enjoys some part of life. When people say they love parenting, what they actually love is feeling valid. Being responsible for someone’s well-being and being needed makes us feel validated. That is what we actually enjoy, not the actual act of changing a diaper. For people who do not derive their value from being needed, parenting can feel more like torture. But this does not mean we will be terrible parents. It does not mean we made a mistake by becoming a parent. And it does not mean we do not love our children as much as those who are actually validated by their role as parents. It is human nature to personalize everything. That is why we have a very difficult time differentiating between parenting in general and the actual child we are parenting. While some children are more difficult than others to parent, disliking parenthood has nothing to do with one child or another child. Instead, it is a dislike of the role that we are playing. This differentiation can easily be explained by looking at the example of marriage:You can love a person intensely and still not enjoy marriage in-and-of-itself. When this is the case, it is not because of the person you married, but because there can be some unenjoyable aspects of trying to stay in harmony with another person all the time. After all, for most of us, it is hard enough to stay in harmony with ourselves. We perpetuate the lie that we all love parenting because we are so afraid of what it means about us as people if we admit we don’t. We fear it makes us a bad person. We’re afraid other people will think we do not love our children, and think we are a bad person because of it. We’re also afraid our children will personalize it and think it is their fault we do not like parenting. But we suffer when we perpetuate the lie that we all love parenting. We feel intense guilt, we feel as if we do not deserve our children and as if we are somehow defective because we don’t enjoy parenting. And the truth is, it is a rare, rare parent who does not secretively feel the same way. We just don’t want to admit it to each other. It is ok for those of us that dislike parenting to admit it. We do not have to love parenting in order to love our children, just like our children do not have to like being parented in order to love us. Who does like being told what to do? Who does like being disciplined? Who likes someone else dictating what you will and wont do on any given day? The answer is: no one. If we admit that we do not like parenting, we are admitting to where we are. We can only move to where we want to be once we have admitted where we are. And we can use what we do not like about parenting to re-define parenting. We can re-design our role in our children’s lives so as to experience much more of what we do love about our relationships with our children. Just because society has defined what parenting is, doesn’t mean the definition is correct. In fact, much of what we consider to be “good parenting” may not actually be good parenting. It is time to ask ourselves if the idea that we have of parenting serves us, or causes us pain. It is time to ask ourselves what we want parenting to be like and start heading in that direction. Great parenting is not the result of doing things the way they have always been done. Great parenting is the result of change and innovation. The time has come to differentiate between loving people and loving the roles we play for other people. It might just benefit our children if they grew up understanding the difference between loving a child and loving the act of parenting in general. Culturing this understanding may just allow them to grow into the role of parenthood with eyes wide open, and with full knowledge that it will be a relationship of contrast. The moral of the story is: it is enough to simply love your child. You do not have to love parenting to unconditionally love your child. And you do not have to love parenting to be an amazing parent. 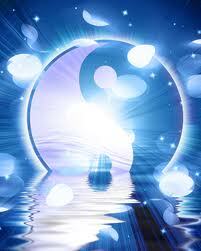 Imagine that scenario in your energy flow. If one or more of your chakras are blocked, they cause disturbances and imbalances on both sides of the flow. The result is stagnating energy that causes poor health, undesirable life conditions, unhappiness and a sense that nothing is going right. You may have blockages or imbalances in several chakras, but it is often due to one major blockage in one chakra that then affects the others. Take a free chakra test to find out which of your chakras are blocked! Now that you know how important the chakras are to your overall health and wellbeing, let’s look at individual chakras and the ways they affect the system. Starting at the bottom of the line of chakras, we find the first chakraor the Root chakra, located at the base of the spine. It corresponds to the physical body and connection to the Earth. Just like a foundation, it is concerned with the basics of survival: food, shelter, safety, comfort and belonging. You can tell if your root chakra is closed if you often feel stuck and sluggish; you experience unrelenting stress because of a belief that you must rely on external circumstances; you may have persistent financial problems and find yourself in a less-than-ideal career. 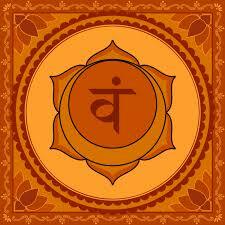 Just up from the root chakra is the Sacral chakra. This is the seat of kundalini energy, sexuality, pleasure, intimacy, creativity and the joys of life. 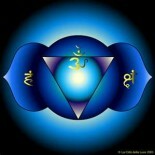 This chakra is located just below and behind the navel. Looking at the body from head to toe, this is your physical center. If your sacral chakra is weak, you struggle with a healthy self-image; you experience difficulty allowing yourself to become emotionally and sexually intimate; you move from one relationship to another, desperately trying to find “the one” yet lacking the sense that you are worthy of love. Most notably, your libido is very low. 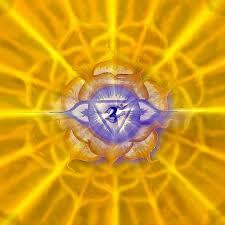 Moving up, the Solar plexus chakra is the center of your personal power. Physically, it is located about two inches below the breastbone. It is the seat of your ego, willpower, passions and ambition. 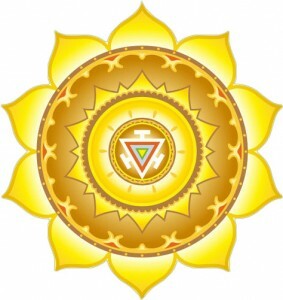 If your solar plexus chakra is imbalanced or depleted, you will find it difficult to take action on your dreams due to a sense of powerlessness and low self-esteem; you have very low self-worth, feel like a victim and often suffer from stomach issues and anxiety. 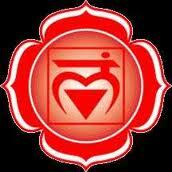 The fourth chakra is the Heart chakra, the center for love and spirituality. Love doesn’t mean only love for others; it also applies to self-love and self-acceptance. 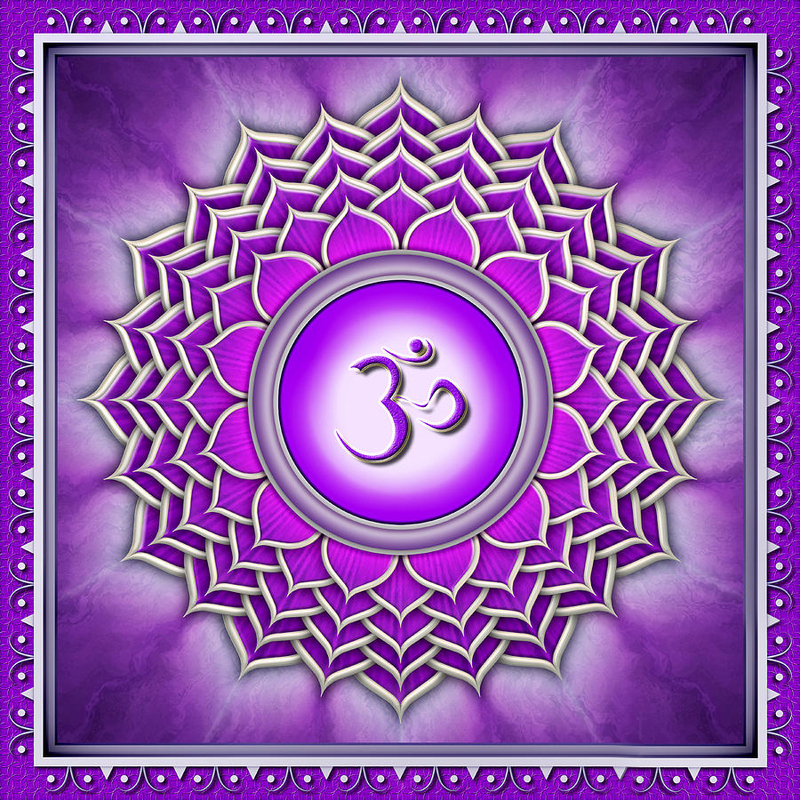 This chakra is located right next to your physical heart – which is why, when you are struggling in this chakra, you may experience heartache! 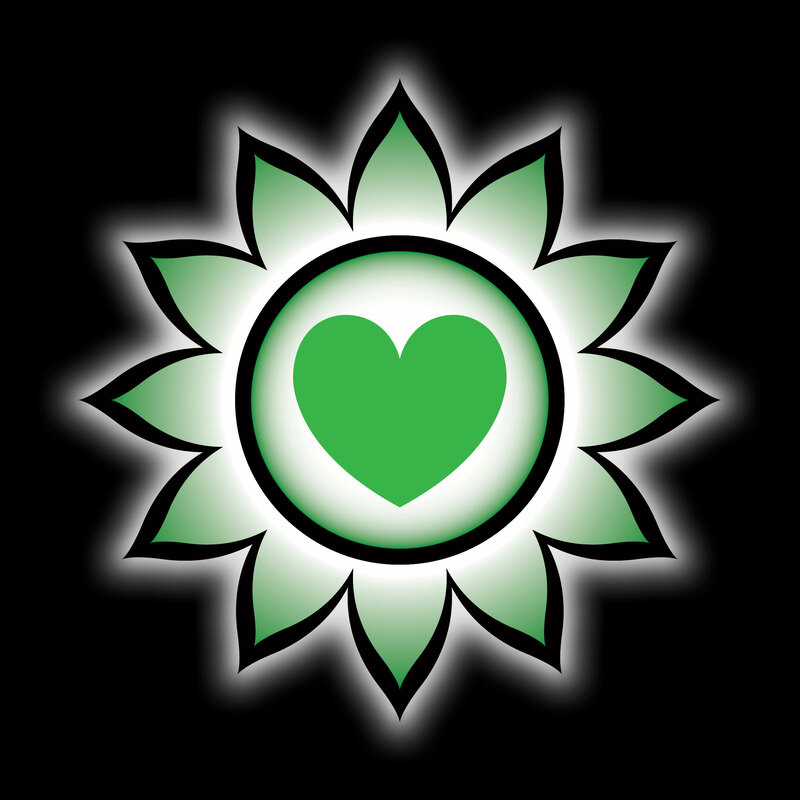 If your heart chakra is weak, you have trouble with giving and receiving love and being compassionate; you hold grudges and become needy in relationships, and this often leads to anger and distrust. 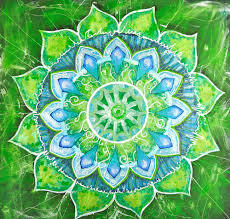 A weak heart chakra can be at the root of heart disease, asthma and allergies. The fifth chakra is next in line. 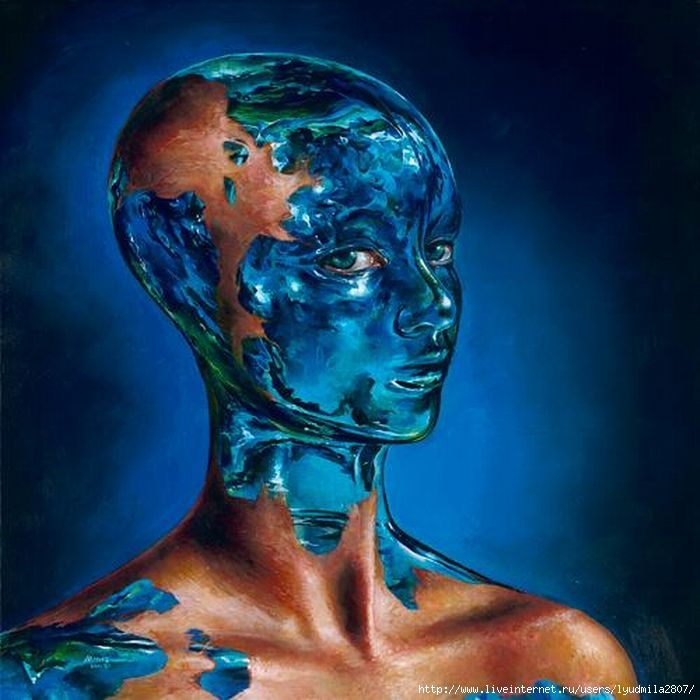 The Throat chakra is your communication center – your voice, your creative self-expression. 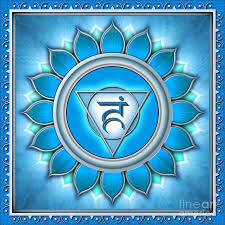 The throat chakra is also responsible for truth, honesty and integrity. If you are unable to voice your opinions or true feelings; if you are known as the ‘quiet one’ and if you are frustrated because you don’t feel that other people hear what you have to say, your throat chakra is blocked. Throat and mouth problems are common. Your sixth chakra is the Third eye chakra (or brow chakra). It sits just between and above the eyes and it is responsible for psychic abilities such as intuition as well as your sense of purpose in life. Your third eye chakra is closed if you struggle with finding meaning in life and often ask yourself, “Why am I here? Why was I even born?” You have trouble making decisions and suffer from headaches and tension. Finally, we reach the crown chakra located at the top of your head. This is the connection between you and the divine. It is responsible for spirituality and enlightenment. Your brain functions and central nervous system are controlled by the crown chakra. If this chakra is depleted or blocked, you will experience loneliness, insignificance and meaninglessness. 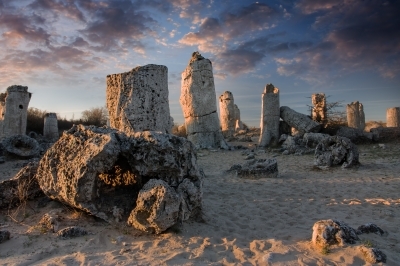 You may feel a strong attachment to material possessions and achievements (and define yourself according to them) and a disconnect from the spiritual side of life. Headaches are common. Now, this list of problems can be overwhelming and depressing, if you suffer from more than just a few. But remember, you most likely have a blockage in one primary chakra that causes imbalances in the rest. That’s why it is important to find out where the main blockage is and what caused it. Then, with simple knowledge and exercises, you can become like a helpful police officer guiding traffic at a snarled intersection and restore the free flow of energy in your body. 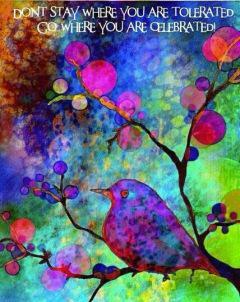 When the seven chakras are in balance, life feels good and all is as it should be. This small introduction to the seven chakras is just the start to that journey. The word chakra means wheel in Sanskrit. 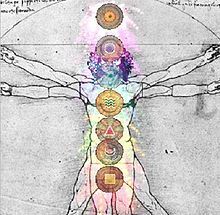 This is because each of the chakras is connected to the next in what appears to be a vertical line up the body. They also create loops of energy that surround your body. 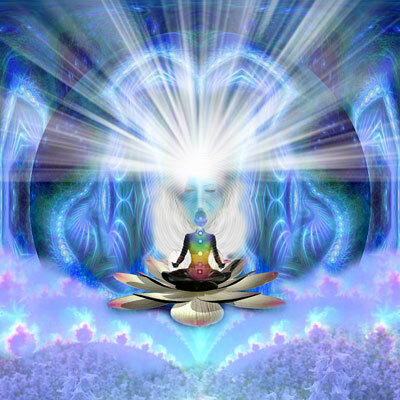 Generally, the 7 chakras are classified from the bottom to top of the head in an ascending manner. Each chakra has a corresponding color that make an ascending rainbow.